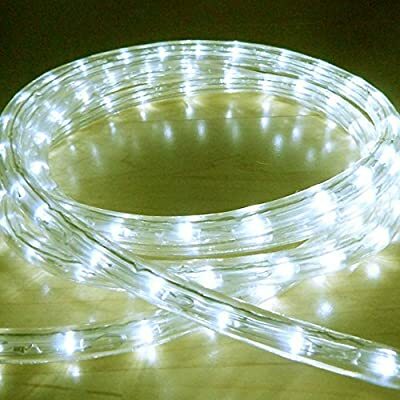 Bright Lightz© LED Rope Lights, Warm White, 2 Metre - 10 Metre Lengths, 6 Controllable Flashing Functions, Fantastic Outdoor Christmas Lights, Decorative Xmas Lights, Gardens Lights, Etc. Rope Lights are very easy to work with, they are a 13mm flexible tube which can be quickly bent into the needed position and quickly held in location with clips. Our rope lights have 36 extremely brilliant LEDs per metre and have a water resistant controller which offers you 6 flashing effects. Unlike less expensive alternatives, our controller have a built in memory which suggests they will always stay on your preferred flashing/ static option up until advised otherwise.